2) Click "My account" or "View Order"
How long does the order take to arrive? We can ship by Express shipping or registered shipping. To see the delivery times for your address, please read the: Shipping informations. Can I add more items to my order? If you haven't paid for your order, then it is still possible to add more items. Please contact Customer Services for this. The item I want is out of stock. Will you receive more? We are not sure if we will have it back in stock. As we like to offer you new and limited products regularly, we don't tend to restock a lot of our items again. We advise you to create an alert on the product page. Click on your size, insert your email, save and you will be notified as soon as we have it in stock again. I placed an order but I want to cancel it, how can I do that? If the order is not yet payed, just go to your account, click on the order number and you will be able to cancel it. If the order was paid, it is not possible to cancel it anymore. Please return the order when you receive it. Can I buy different sizes for the top and bottom? Many models allow you to buy different sizes for top and bottom. You can do this when the product page displays sizes for top and bottom. You can also buy top and bottoms as separates, please check the following categories: Bikini Tops and Bikini bottoms. In case it doesn't fit me or if I do not like an item, can I change it? Click on "My Account", sign in to access your order history, and then click on "Make an Exchange or Return" for the order concerned. Select the product(s) to be exchanged or returned, and then confirm (or change) your delivery address and validate. Print the "Request for Return" page and include it in your package. If you do not have a printer, use a separate sheet of paper to specify the reference number of the exchange, which is indicated on the return form. Returned products must be in a brand new condition, unworn (except to try them on) and in their original package. Swimwear must be returned in a clean condition and with the protective hygiene strip and tags in place. Return the item(s) to the address shown on the return form. You can return the items via registered mail (strongly recommended) or standard mail (not recommended as it cannot be tracked). The exchange will be processed upon receipt of your return package. What is the deadline for exchanges? No stress, you can exchange your purchase for up to 100 days from the purchase date. To which address should I send the exchange to? The address will be shown on the return form generated by the system. We have returning address in the following countries: USA, UK, France, Spain, Netherland, Italy, Germany, Japan, Portugal, Canada, India and Brazil. Yes, the returning fees are the client's** responsibility; we pay to send you the new items. I received the wrong size, what do I do now? Please contact our Customer Services by email and provide photos of the product you have received. Can I just change the top / bottom of the bikini? This can be done if the bikini brand allows you to. To find out, go to the product page and see if buying different sizes for top and bottom can be done. If it is only possible to buy the bikini in one single size then it is not possible to exchange just one piece of the bikini set. Is it possible to speed up the exchange? 1 - Notify us of the tracking number of the package you are returning. We will ship your new order without waiting for your return package. 2 - Immediate exchange: Place and pay for a new order. The order will be processed immediately. For faster delivery, you can choose express delivery. When we receive your returned items, we will issue a full refund, including any shipping costs (those paid for your previous order). I cannot create the exchange form, now what do I do? It should be possible if the exchange period has not exceeded the 100 days. If you have any problems filling out the exchange form, please contact Customer Services. If the product does not fit or if I do not like it, can I return it? No worries, you can exchange your purchase for up to 100 days or receive a refund for up to 30 days from the purchase date. 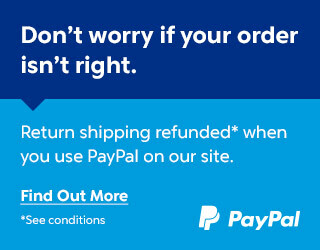 To create a return order, please click on "My Account", sign in to access your order history, and then click on "Make an Exchange or Return" for the order concerned. Select the product(s) to be exchanged or returned then confirm. In case of a refund and exchange, you can change the delivery address of your exchange and confirm. Print the page "Request for Return" and include it in your package. If you do not have a printer, use a separate sheet of paper to specify the reference number of the return, which is indicated on the return form. Returned products must be in brand new condition, unworn (except to try them on) and in their original package. Swimwear must be returned in clean condition and with the protective hygiene strip and tags in place. Return the item(s) to the address indicated on the return form. You can return the items via registered mail (strongly recommended) or standard mail (not recommended as it cannot be tracked). The refund will be processed upon receipt of your returned package. What is the deadline for a return? You have the right to cancel the purchase of goods without having to give a reason at any time within a "cooling off period" of 30 days. To which address should I return the product/order? The address will be stated on the return form generated by the system. Are the returning shipping costs my responsibility? Yes, the returning fees are the client's** responsibility. Can I just return the top or bottom of the bikini? This is possible if the bikini brand allows you to. To find out, go to the product page and see if it is possible to order different sizes tops and bottoms. If it is only possible to order the bikini in one size, it is not possible to receive a refund for just the top or bottoms as the bikini is only sold as a set. I am not able to create the refund form, what can I do? It should be possible if the return period has not exceeded the 30 days. If you have any problems filling out the return form, please contact Customer Services. 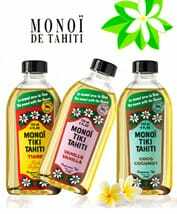 We ship from France (Europe). How can I obtain the free-shipping offer? Each solution is fully secure. They meet the different needs and expectations of our clients. Once you have submitted your order it is no longer possible to change the payment method. You can restart a new order or contact our Customer Services for help. I did not include the security code, has the payment been validated? You can check this at your account on the site. If your order is "payment received" it means that your payment has been accepted. I placed an order, I have not paid for it but I decided I want to cancel it, how can I do that? You can cancel the order at your account on the site (top right of any page). I placed an order and paid for it but I decided I want to cancel it, how can I do that? But at night or during the weekends you can have a chance to update your address from your account.